Sliding doors have seen significant improvements in designs and functionalities, since they were first introduced in the Medieval times. Nowadays, the doors are increasingly becoming an integral part of the “smart home” concept, as they provide several innovative features including optimal thermal insulation. They are easy to maintain and you can easily get affordable sliding door repair services. These doors have many advantages, which you can incorporate in your home decor to increase its overall appeal. Continuing the discussion, here are some of the pros and cons of sliding glass doors that you must consider before installing one. Take a look. Sliding glass doors act as a luxury decorating accessory and add a touch of posh to your home or commercial property’s decor. You also get a clear outside view as sliding doors are transparent and look more like windows than doors, allowing them to also let in lots of natural light. A correctly positioned sliding door can add an air of glamour to the interiors and exteriors of a home or commercial property. Sliding doors provide maximum comfort, beauty, energy-efficiency, and safety. They have lower glass-to-frame ratios, allowing them to provide more insulation from the scorching heat, when compared with windows. Another benefit of transparent sliding doors is that they let in lots of natural light, which is good for for the occupants’ health. The external screens placed on the doors ensure excellent airflow in your interiors through the wide door openings. Installing sliding doors is also advantageous as they are user-friendly, as they occupy large openings, allowing you to easily move big items in and out of the rooms. Their sliding track mechanism eliminates external hinges that would otherwise damage any items being moved. These sliding door tracks are easy to maintain and replace. Sliding doors are, therefore, a practical and stylish door option for your home and office. Sliding glass doors let fresh breeze and natural light into your home. Unlike traditional doors, sliding doors come with several innovative design features such as Hazardous Air Pollutants (HAP) and Volatile Organic Compound (VOC) coatings that minimize the entry of pollutants in your home. In addition, sliding doors have double-glazing door panes that provide better thermal insulation. Better thermal insulation helps you cut down on the energy consumption for your home. Sliding glass doors are efficient and save space. They require less space than traditional doors as they don’t swing as they open or close, which captures space, but slide on a door rail, making them perfect for the homes with minimal space. Additionally, the glass gives an illusion of more space, making the area seem larger than it actually is. Sliding glass doors often have significant installation costs, which might unsettle few homeowners. Considering the advantages, however, you will realise they are worth every cent. In due course of time, sliding doors give you better ROI, by helping you save big on your energy bills. 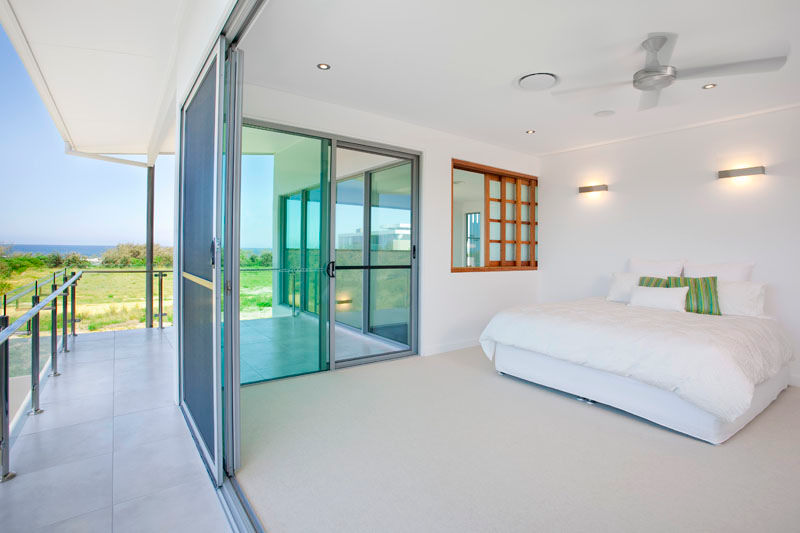 Sliding doors blend smoothly with the interior of your home. They effectively function as weather and sound barriers, and keep out dust, drafts and rain. Regular maintenance helps you improve their performance and lifespan. AJ Doors can help you with expert installation, inspection and repair of your sliding doors, to ensure their functionality all year round. To learn more about our residential and commercial door installation and repair services in Brisbane and surrounding areas, give a call at (07) 3180 2344.